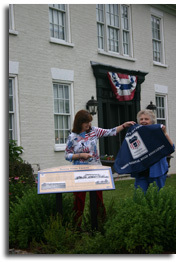 The fourth Ohio National Road Interpretive sign was unveiled on June 24, 2010 in front of the old Buena Vista Tavern. This sign is located at 8518 East National Road, just west of the village of South Vienna in Clark County, at the NE corner of U.S. Rt. 40 and Buena Vista Road. 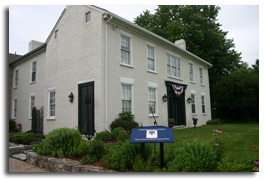 Built in 1836, the brick tavern is now a private residence that has an adjoining rear addition which houses Johnson’s Lamp Shop. 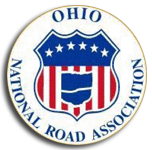 On hand for the unveiling were Ohio National Road Association Board members Denna Johnson, Dean Ringle, President Cyndie Gerken, Marian Vance, Mary Ellen Weingartner, Bill Hart, and Jan Livingston-Brady, as well as staff members Louis Agresta and Melanie Runkel. 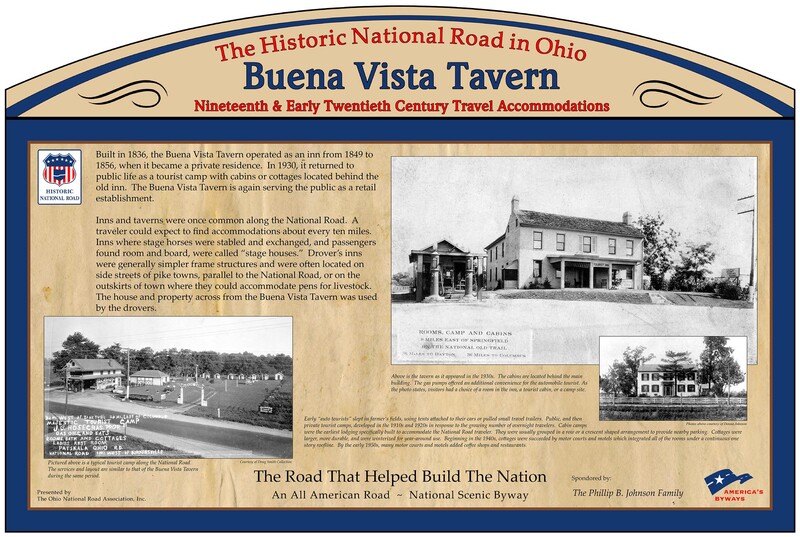 Pictured is the former Buena Vista Tavern. 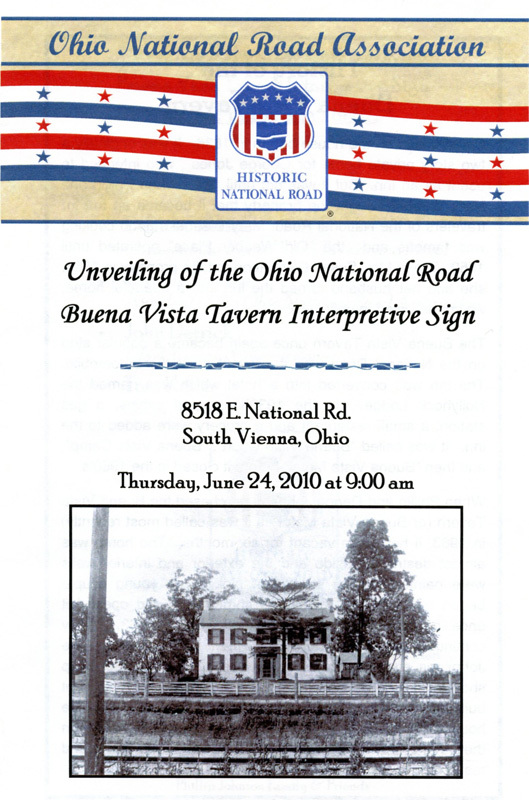 The Ohio National Road Interpretive sign is shown in the foreground, prior to its unveiling. 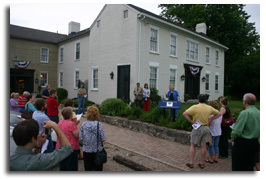 The property was purchased by (the late) Phillip and Denna Johnson in 1963. Behind this building are several remaining 1930’s tourist cabins, one of which is restored and currently operated as the Historic Buena Vista Motel. 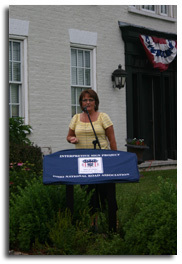 Johnson’s Lamp Shop owner and Ohio National Road Association Board member, Denna Johnson, speaks to the crowd assembled for the unveiling ceremony. Among the guests on hand for the occasion were several members of the Phillip Johnson family. divided-highway section of U.S. Rt. 40. Ohio National Road Interpretive Sign. 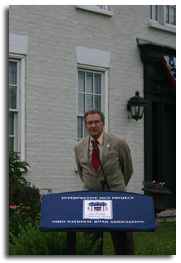 South Vienna Mayor Toni Keller commended Denna for her decades of hard work of not only restoring the 1836 inn, but also maintaining Johnson’s Lamp Shop as a locally-owned business in Clark County. 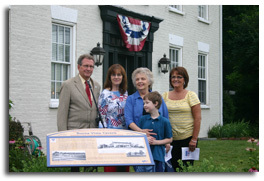 Pictured (left to right): Clark County Commissioner John Detrick, Ohio National Road Association President Cyndie Gerken, property owner Denna Johnson, Denna’s grandson Phillip, and South Vienna Mayor Toni Keller.